BHP Sophomore Don Dao was raised a longhorn; his entire family went to UT. Even with this upbringing, he envisioned himself leaving Texas for college, but after being admitted to BHP, he ultimately decided to stay in Texas and attend UT Austin. Don loved how BHP provides the resources of a small centralized program, with a tight-knit community and great professors. He is happy he ended up in Austin and is enjoying the city’s strong entrepreneurial spirit. He has been involved in the Austin start-up scene, and has been able to network through the business school community and the Austin community to get his start-ups off the ground. He believes the entrepreneurial route allows individuals to pave their own way and fosters innovation. Don and four other UT students are following their own innovative path, having created a start-up called Condecca. Condecca is a recruiting platform that connects college students with employers for short-term internships, short-term projects, and contract work. 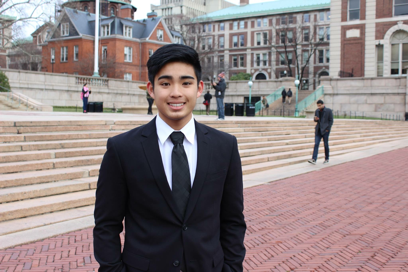 Don and his partners found that many students struggled with securing a good internship as an underclassman when they had no previous job experience. “It’s a niche in the recruiting market that we’ve seen. This platform will allow students to build up their resumes, get recommendations, and get experience that they would not otherwise have access to if they didn’t already have work experience,” he said. He hopes to eliminate the paradox of having to have experience in order to get experience. Don has also interned with a Houston-based business technology company and is planning on interning in risk consulting this semester. In addition to his passion for business, he also stays active in two charities, the Mona Foundation and Sunflower Mission. He has helped build schools in several countries through Sunflower Mission and serves as a liaison between Mona Foundation and the Texas Wranglers, for which he serves as Vice President. “Giving food, water and clothes only lasts so long. Giving the people there an education as a means to escape poverty and give back to their community, has proven to be one of the most effective ways to raise entire communities out of poverty,” he said. Don will continue to pursue his startup interests, but in the meantime, he is seeking to intern for a consulting firm or a boutique investment bank this upcoming summer. He hopes to run his own consulting or VC business one day. This entry was posted in News, Student Profiles and tagged Don Dao, McCombs Business Honors Program, McCombs School of Business, Texas BHP, UT Austin. Bookmark the permalink.